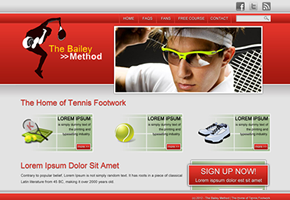 Your site styling and design - all from one file! 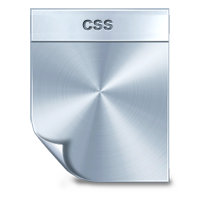 Cascading Style Sheets (or CSS) are a huge part of great web site design. When creating a web site, the content of the pages and the layout/styling of the pages should be kept completely separate. This means that you can change the look and feel of a web site without having to rewrite or change your content. For example, you might decide that you would like to keep your site how itlooks now, but change the font size on every page. With a well-built site using CSS, a very small change to the stylesheet file will cascade the changes throughout any page that uses that stylesheet. With a bit of imagination, you could change the position of your navigation, update your logo, move the footer and just about everything else that you can think of with your site. It’s also a great tool when developing your site. I’ve uploaded the beta version live on my server for you to see, and you decide that you’d actually like the left column slightly wider. No problem with CSS – and you can see the change in seconds! I use CSS in all of my website designs. Complete revamp of a dated Norweigian hot tub company’s web site into a sleak, clean design. 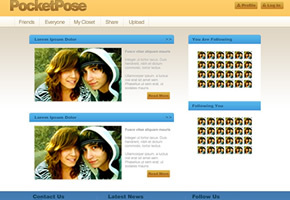 PhotoShop layout for a social network, which is designed to let users share fashion advice, upload images of outfits and vote on their appearance.